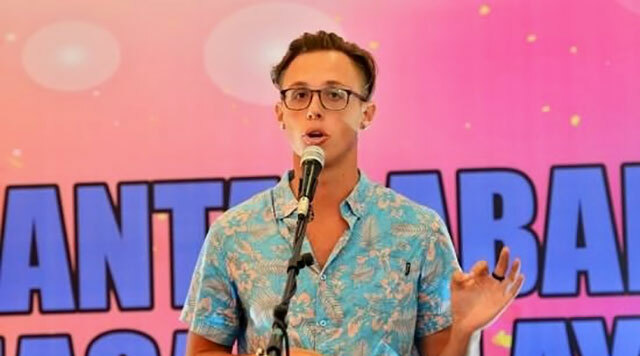 Wyatt Gordon, a 2008 graduate of Thomas Dale High School, was recently in Malaysia for two weeks competing in the World Cup of Malay Language Speech. After living in Indonesia for about a year and a half through the Critical Language and Boren scholarships, he felt comfortable with the Indonesian language. This was the first time he would speak Malaysian on such a public platform. Wyatt is currently a fellow with the East-West Center and studying for a master’s degree in Urban Planning at the University of Hawaii. He was excited to learn that he had been selected to be the U.S. representative. Wyatt was one of 40 international participants addressing the Malaysian Prime Minister and a live audience in four rounds of competition broadcast across Malaysia and Indonesia on primetime TV. Wyatt’s speech, “Searching for my Heritage through Language,” earned him a place in the finals. Wyatt ultimately finished third and received a $3,000 prize.